Can I get a short-term car lease? Sometimes you can’t — or don’t want to — get locked into a car long-term. Maybe you are moving to a city where a car is impractical? Or maybe your current auto lease is up and the car you want isn’t on the market yet. Whatever the reason, a short-term-car lease may be a good option. Here’s how to do that. You can do this for a few months. Most auto manufacturers will allow another person to take over a car lease from the original lessee who wants out of theirs. 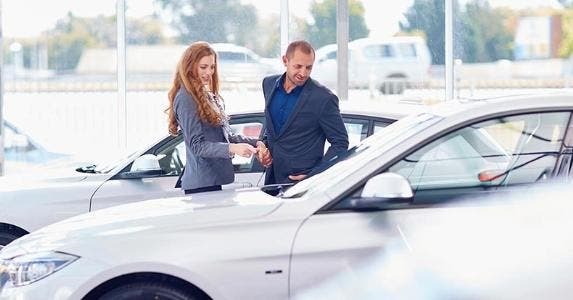 While this transaction can be done between two individuals, it’s easier to use a third party, such a SwapALease.com or LeaseTrader.com, because they specialize in pairing current lessees with those looking for a short-term-car lease. Getting a short term lease through a lease transfer allows you to avoid the down payment. The monthly payment would be the rate that the original lessee negotiated for when they started their lease term. When you take over someone else’s lease, you are bound by the terms that were initially set, including the mileage limits. So, if the original lessee drove a lot of miles, you could end up paying mileage charges for exceeding the limit set in the lease. CALCULATOR: Should you lease or buy your next car? While these rates are lower than what would be a normal car rental rate for a few days or a week, they are still typically more expensive than a lease-takeover. With this option, there are no mileage restrictions and some car rental companies, such as Hertz and Enterprise Rent-A-Car, allow the renter to switch cars during the term, giving them the opportunity to drive more than one vehicle. Because these are actually car rentals and not leases, you are not locked into a contract and can return the vehicle at any time — though keep in mind that, if you keep the car for less than a month, or any portion of a month, you will be charged a higher rate, similar to how a weekly car rental is cheaper per day than a daily car rental. RATE SEARCH: Comparing car loans? Check interest rates now at Bankrate.